Submitted by WBRi on Wed, 07/29/2009 - 18:07. Carlyta (Mou) Mouhini is a very talented Bengali Brazilian Folk Fusion Latin Artist - Musician. Her debut Bengali album "Rocke Joto Chele " with her band OM2K released in Kolkata is quite popular. Read all about Carlyta and watch free Music Videos online. Submitted by Calcutta Music on Tue, 07/14/2009 - 11:52. Listen Free Online and Download MP3. Submitted by Calcutta Music on Mon, 06/15/2009 - 23:13. Submitted by WBRi on Thu, 06/04/2009 - 07:40. You have already read all about MALABIKA BRAHMA and SANJAY BHATTACHERJEE who formed the Bengali Baul Jazz Fusion band BRAHMYA KHYAPA - the husband/wife team who are revolutionizing Bangla Baul-Jazz-Blues fusion, in WBRi exclusive feature coverage that we published here. Submitted by Calcutta Music on Tue, 06/02/2009 - 17:54. 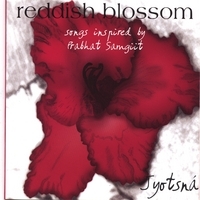 Includes the instrumental track "Bengali Folk Song". 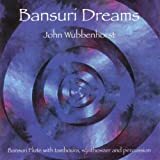 Great album for World Fusion Music enthusiasts. Hear free samples and purchase instant MP3 downloads. Submitted by Calcutta Music on Wed, 04/29/2009 - 18:56. Submitted by Calcutta Music on Wed, 04/29/2009 - 05:46. Shomshuklla is a popular Hindi pop Bollywood singer, also known for her soulful fusion renditions of Bengali Rabindrasangeet and poetess of 'I have seen that face before'. Shomshukla grew up in Kolkata and chose singing as her vocation. The past years have seen her establish herself as an expressive singer specializing in Indian music. Shomshuklla has many successful music albums to her credit including DHINTARA (1999), RAHEIN (2001), GLIMPSE (2003), CAFE KALIGHAT (2004), ELECTRIK (2004) and KOLKATA JAM (2005). Among her other interests are writing and the reflective verses of Rumi. Along with music, she recently chose words and verses as another form of expression and compiled her debut volume of poetry 'I HAVE SEEN THAT FACE BEFORE' published by Rupa & Co. The tracks are: SHEY DIN, ORE RE ORE MAAJHI,TUMI RAABE NIRAABE, MORBE NA UTHE, PHOOLE PHOOLE DOLE DOLE, KEECHHU BOLBO BOLE, and more. Submitted by Calcutta Music on Sun, 04/26/2009 - 19:31. The Album Wee Chant - Chants, Songs and Lullabies From Around The World by Marylee is a fascinating collection children are sure to enjoy while being exposed to global diversity early on. 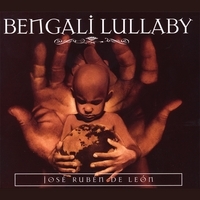 The track "Bengali Infant Message Chant" is a great example of the Bengali classic ghum parani gaan going global - make sure you listen to the free preview even if you decide to not buy this album from our online partner store. Click here to listen to preview and buy the album online mp3 if you so wish. Submitted by Calcutta Music on Sat, 04/25/2009 - 16:51. World fusion / Healing / New Age / Meditation- English / Bengali exquisite devotional love songs inspired by Bangla Songs of the New Dawn or "Probhat Sangiit". Submitted by Calcutta Music on Sat, 04/25/2009 - 00:23.